Got Scoliosis? You're not alone! Are you keeping it secret from your friends? Do you feel frustrated with having to wear a brace? Do your clothes get ripped from the metal on the brace? Do you wish you knew someone else like you? Had surgery and want to help someone else? Does having scoliosis embarrass you? Are you worried about surgery? If you answered “yes” to any of these questions, you might want to join a support group. 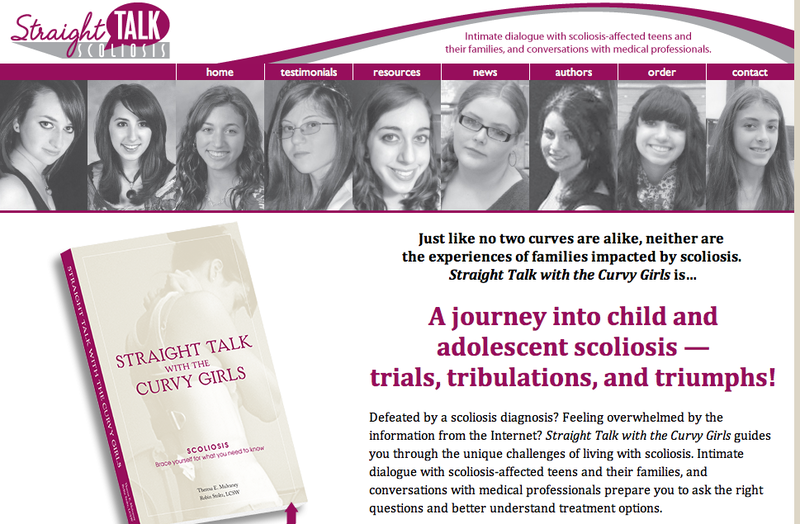 Curvy Girls is a network of peer-led support groups that reduce the emotional impact of scoliosis by empowering girls through mutual support and acceptance to become leaders, make healthy lifestyle choices, and improve self-esteem.